Organic chemicals constitute minor gaseous components of the earth's atmosphere. Despite low concentrations they play an important role in the global processes influencing the composition of our atmosphere. The author summarizes the multidisciplinary data on sources and thermo- and photochemical transformations of organic components in the atmosphere. Modern methods of atmospheric microimpurity analysis are explained. Models for their time-dimensional distribution both in the urban atmosphere and in unpolluted air are developed. 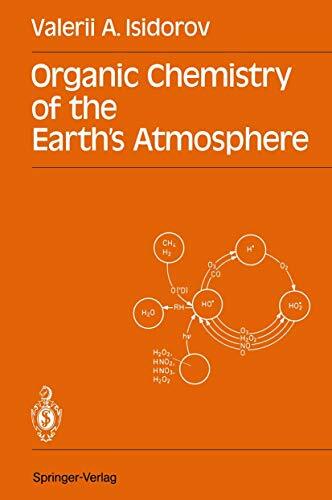 The book provides a unique source of contemporary information for scientists involved in atmospheric chemistry, meteorology, ecology and geophysics.